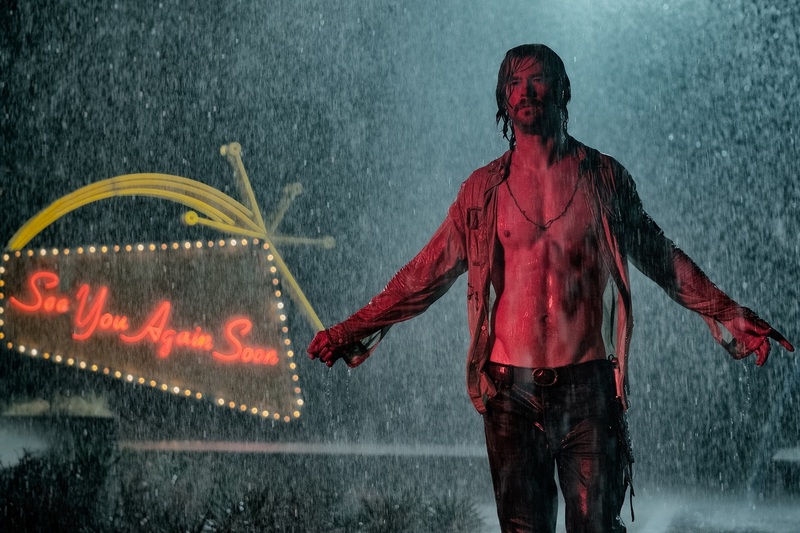 Beneath the sexiness, glitz and glamour is paranoia in the riveting mystery thriller “Bad Times at the El Royale” set in the tumultuous 1960s, directed and written by blockbuster filmmaker Drew Goddard (The Martian, World War Z) that also stars a powerhouse cast composed of Chris Hemsworth, Academy Award-winner Jeff Bridges, Tony Award-winner Cynthia Erivo, Lewis Pullman, Dakota Johnson, Cailee Spaeny and Emmy Award-winner Jon Hamm. Set in the late 60s, the ingenious plot revolves around seven strangers with dark secrets, who cross paths at a rundown hotel right on the border of Nevada and California. Over the course of one fateful night, the lives of these individuals become entangled, as mysterious and shocking events unfold. Everyone at the hotel El Royale has something to hide and it is impossible to know who to trust. Several of the main characters, says Goddard, represent 60s archetypes. “There is the tradition of the lounge singer, the priest, the vacuum cleaner salesman, the concierge and the dark outlaw with a mysterious past. It was very important to me to explore those archetypes as actual people, rather than as storytelling devices. I liked the idea of seeing them standing in the lobby together and I let the story progress from there,” says Goddard, adding that he can’t reveal more about his intriguing story. Strictly for 16 years old and above, “Bad Times at the El Royale” opens November 21 in cinemas nationwide from 20th Century Fox.